Orlando, Florida — August 17, 2018 — Today at The National Convention and Expo, ChiroHealthUSA announced the recipient of the 2018 ChiroHealthUSA Foxworth Family Scholarship in honor of President Dr. Ray Foxworth’s parents, Drs. Betty Pace Mathews and Charles Vernon Mathews. 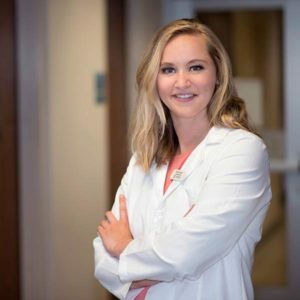 “It is important for me to give back to a profession that has meant so much to me and my family, not only as a tribute to my parents but as an opportunity for chiropractic students to follow in their footsteps,” Foxworth said. Students may begin submitting applications August 27, 2018. The deadline for submissions is March 1, 2019. Winner notifications will go out on or before June 15, 2019, and the winner will be announced during The National Convention in Orlando in August of 2019. Learn more at www.chusascholar.com. Founded in 2007, ChiroHealthUSA is a simple, compliant and profitable way for chiropractors to offer affordable care to their patients. We are currently taking applications for the 2019 ChiroHealthUSA Foxworth Family Scholarship. To learn more, see our Frequently Asked Questions.